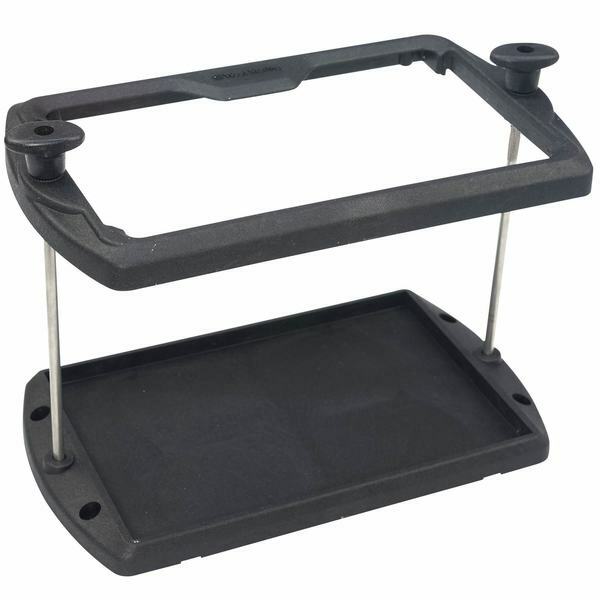 Our trays hold batteries securely in a sturdy frame made from noncorrosive, rigid black polypropylene. Two 1/4" stainless-steel tie rods with adjustable self-locking security knobs hold the frame in place while providing access to the battery top and terminals. Our hold down trays have a pre-drilled base that allows easy installation. Ideal for applications that do not require batteries to be completely encased.